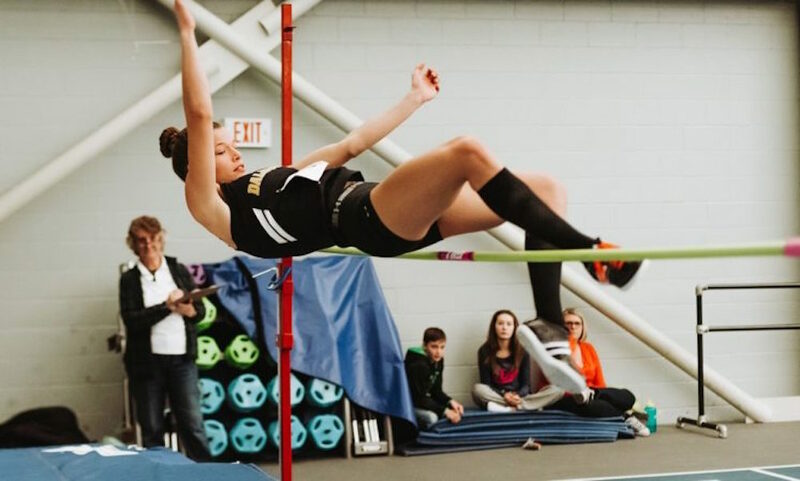 The top U SPORTS track and field teams in the country will congregate in Winnipeg for this year’s U SPORTS Track and Field Championships Presented by Beynon Sports. The Manitoba Bisons will play host and their men’s team will likely challenge for team medals, while the Guelph Gryphons are the early favourites in both the men’s and women’s competitions. The national meet runs from Thursday to Saturday at the James Daly Fieldhouse with Livestreaming available on USPORTS.LIVE. The OUA Championship was the Guelph Gryphons’ show on the women’s side, as every individual race was won by a Guelph runner. 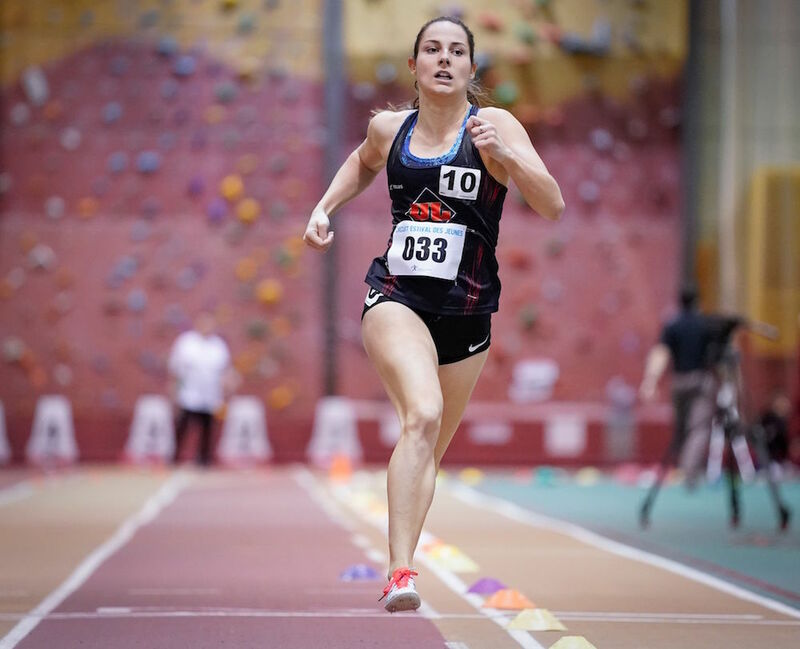 Defending U SPORTS champion Shyvonne Roxborough took top spot in a hotly-contested 60m final, and senior Olivia Romaniw claimed gold in the 600m and 1000m races. But, the Gryphons had no answer to York’s Brittany Crew in the throwing ring, as the 2016 Olympian dominated the shot put and weight throw competitions and showed why she remains the national favourite in those events. The men’s aggregate title, though also won by Guelph, was closer-fought. 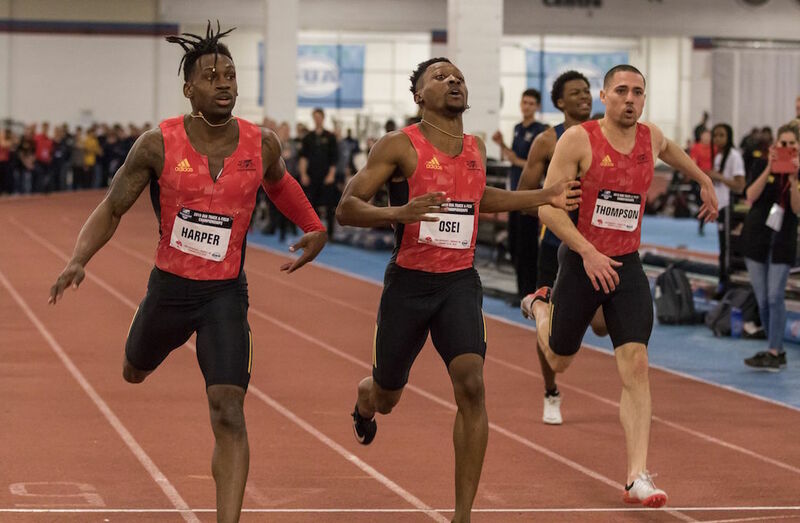 Propelled by Zimbabwean newcomer and 60m silver medallist Kudakwashe Murasiranwa, as well as the podium-sweeping trio of 300m runners Daniel Harper, Philip Osei and Graeme Thompson, the Gryphons’ sprinting team impressed throughout the competition. Jack Sheffar of Western stole the show in the distance events, winning both the 1500m and 3000m races for the third consecutive year, while York’s Pierce Lepage showed impressive versatility by claiming top spot in the long jump, the high jump and the 60m hurdles. Second-year student-athletes Savanna Jordan and Lorena Heubach lifted the Dalhousie women to an impressive 30th straight AUS title. While Jordan swept the distance events by winning the 1000m, the 1500m and the 3000m, Heubach was the top pentathlete, the individual high jump champion, and a scorer in the shot put and long jump. 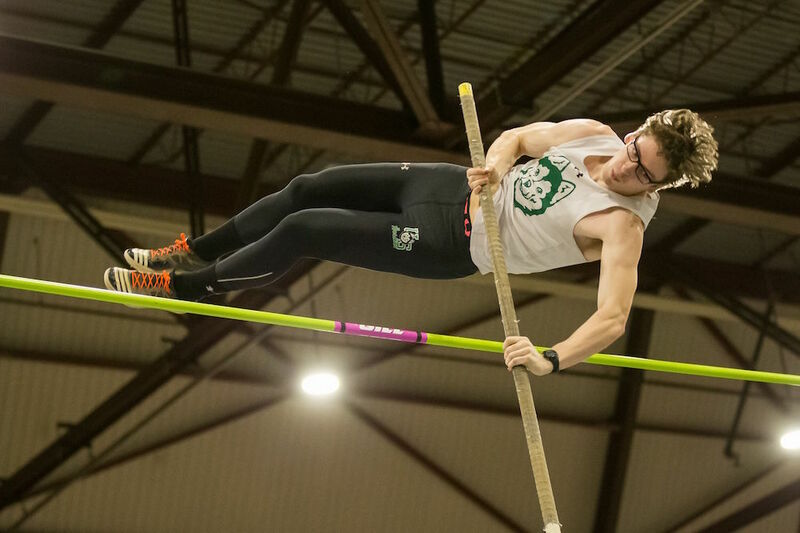 Bailey Smith of UPEI was crowned 60m champion for the third consecutive year, and set an AUS record in the process. Records were also broken on the men’s side, as Matthew Coolen of Dalhousie won the 60m hurdles in a new AUS all-time best of 8.21 seconds. He padded his victory with a second gold medal in the 60m final. Angus Rawling of StFX expectedly dominated the 3000m - he broke the AUS record set by Canadian Olympian Joel Bourgeois by nearly 10 seconds. He then won the silver medal in the 1500m on the following day, conceding the victory to sophomore Andrew Peverill of Saint Mary’s. Laval was ubiquitous in these championships, claiming the women’s and men’s crowns. The women were led by the distance trio of Jessy Lacourse, Catherine Beauchemin, and Aurélie Dubé Lavoie, who swept the podium in the 1500m. All three women were also part of the Rouge et Or’s U SPORTS championship-winning cross country team. Lacourse doubled her gold medal count by also winning the 3000m. In the sprints, Audrey Jackson of the Montreal Carabins comfortably won the 60m and 300m races. Top-ranked weight thrower Joey Lussier, who took top honours in his event, propelled the Laval men to victory. Jean-Simon Desgagnés impressed on the track, easily winning the 3000m before upsetting U SPORTS’ fastest metric miler, Montreal’s Kevin Robertson, in the 1500m. The Saskatchewan duo of Julianne Labach and Courtney Hufsmith were instrumental in the Huskies’ conference conquest. Labach won the 600m and 1000m races and finished second to Hufsmith in the 1500m. Hufsmith was victorious in the 3000m, and ranks second in the country in the longest track event. Niki Oudenaarden of Calgary dominated the pentathlon, before taking top spot in the shot put and finishing fifth in the long jump. Most impressively, all of Oudenaarden’s events took place on the same day. A trio of Husky heptathletes who claimed first, third and fifth spot in the multi-event competition helped Sasketchewan to gold. No.1-ranked Kieran Johnston led the way by winning the heptathlon and placing second in the long jump. Austin Cole of Alberta made noise on the track by breaking the 35-year-old Canada West conference record in the 300m, and Regina’s Gregory Hetterley won points for his team by winning the 1500m and placing second in the 1000m. Fans will be treated to a classic David versus Goliath showdown, as U SPORTS defending champion and Guelph Gryphon Shyvonne Roxborough will face off with the AUS champion, the UPEI Panthers’ Bailey Smith. 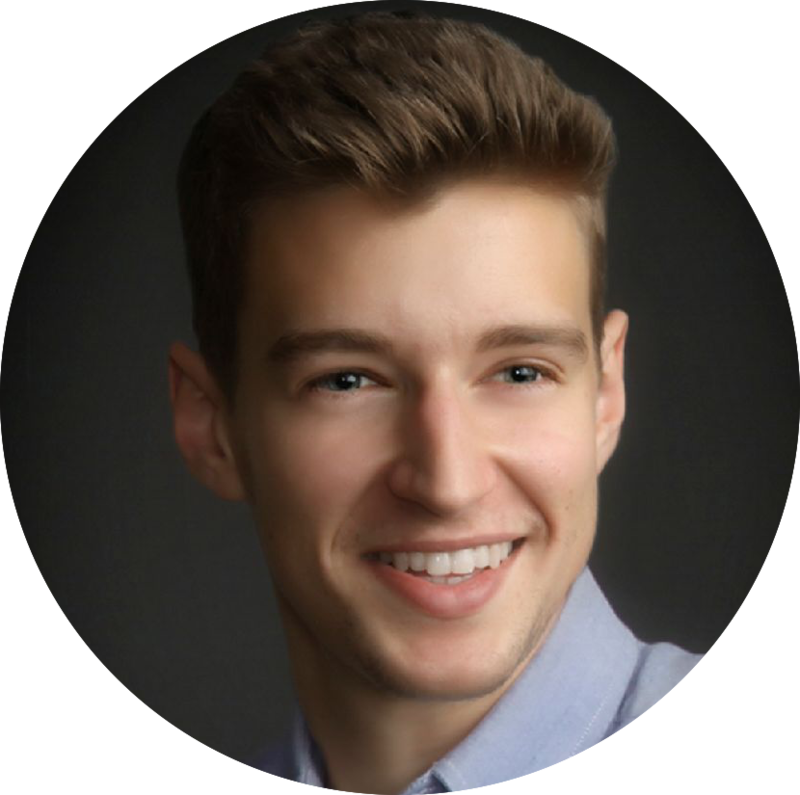 While Roxborough will be cheered on by a well-rounded and seemingly unbeatable Gryphons team, Smith will be UPEI’s only representation at these championships. Last year, Smith barely squeaked into the final, finished seventh, and had no answer to the powerful Roxborough. But, a good year of training helped Smith close in on her stiffest competition, and now only one hundredth of a second separates the two women, who tower over the rest of the nation. At stake for Roxborough is a chance at defending her coveted title. At stake for Smith is a chance at winning UPEI’s first-ever gold medal. 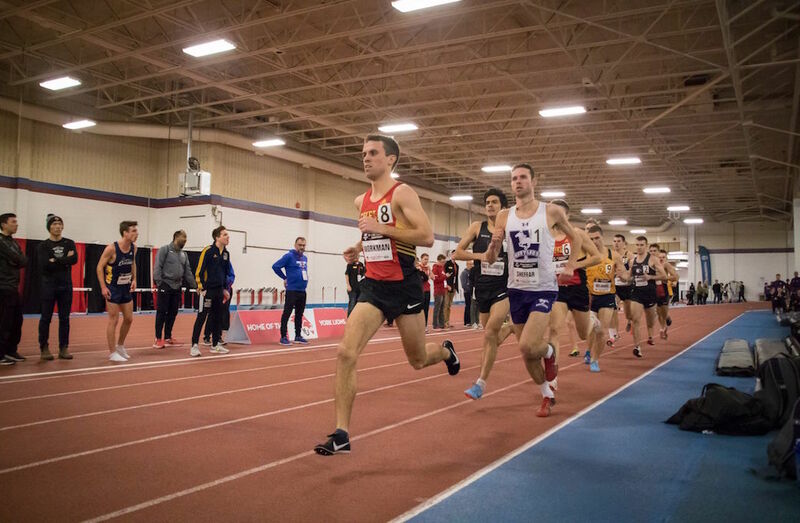 The top three 3000m runners in the country met at the David Hemery Valentine Invitational in Boston on Feb. 9 and gave distance running fans a jaw-dropping preview of what was to come in a month’s time. In Boston, Western’s Jack Sheffar ran away from Laval’s Jean Simon Desgagnés and StFX’s Angus Rawling and ran to the fastest 3000m time in recent U SPORTS history. Sheffar then comfortably won the OUA championship, running away from U SPORTS cross country defending champion Connor Black in the process. Meanwhile, Rawling won the AUS championship in a new conference record, and DesGagnés cruised to an easy victory in the 3000m at the RSEQ final. Degagnés enters the competition freshest, but whether he can hold off U SPORTS 3000m defending champion Rawling and an alarmingly fit Sheffar is to be seen. An already star-studded field of middle distance runners just got faster - new national record holder Jenna Westaway of Guelph, who elected not to race the 1000m at the OUA championship, is on the start list. Westaway is re-writing the Canadian indoor middle-distance record book, having taken records away from Olympians Diane Cummins and Melissa Bishop already this season. 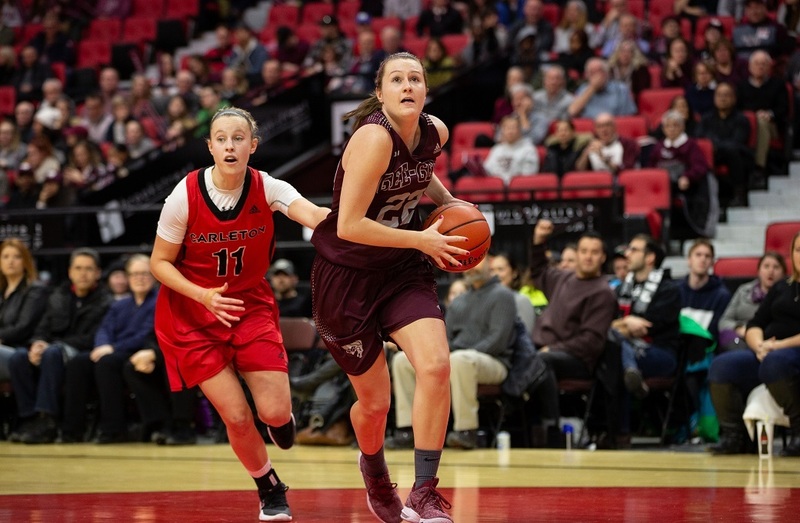 Nonetheless, she will face stiff competition from the likes of U SPORTS defending champion Julianne Labach of Saskatchewan, and fellow Gryphon Olivia Romaniw, the OUA champion. A field so deep may force last year’s silver medallist Lucia Stafford off the podium, a rare sight at these competitions. Expect the fastest women’s 1000m race in years. The long jump is York Lion Pierce Lepage’s event to lose. The newcomer on the U SPORTS scene was the silver medallist in the decathlon at the 2018 Commonwealth Games, and showed terrific form at the OUA championship. His jump of 7.51m eclipsed U SPORTS standard by nearly a half-meter, and his personal best of 7.75m puts Christopher Greenway’s U SPORTS record of 7.88m in jeopardy. Lepage will be pushed by a surging Peter Collier. The Toronto Varsity Blues sophomore showed great fitness by winning the OUA heptathlon, and is steadily improving. Waterloo’s Joerg Ahne will also put pressure on Lepage in this OUA-dominated long jump year. Much like Lepage is expected to impress in the long jump, 2016 Olympian and 2018 Commonwealth Games bronze medallist Brittany Crew is slated to dominate the competition in the shot put. What makes this competition interesting may not be the closeness between the top throwers, given Crew’s dominance, but rather the overall quality of the field. Seven women across the nation have thrown farther than the U SPORTS standard of 13.62m. Aside from Crew, expect Western Mustangs duo of Emily Good and Sara Villani to impress. Fourth-ranked thrower and top pentathlete Niki Oudenaarden of Calgary will also hunt for medals. Day 2 events: 2:30 p.m. – 9:45 p.m. ET / 11:30 a.m. – 6:45 p.m.
Full meet schedule available at USPORTS.ca.